Ellen's Energy Adventure is an interesting ride, but it is also rather long and not exactly something we would do more than once a trip or maybe even less often. It was worth checking out, but Mik ended up not really liking it much. The beginning part is a movie with you in a waiting area. The area is pretty roomy and the screens are easy to see. 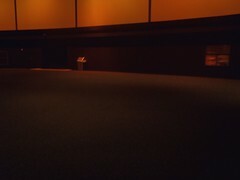 After an intro movie you go into a giant circlevision movie room with ride vehicles. 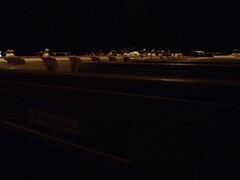 There is plenty of places of wheelchairs to be loaded into the back with the rest of the group sitting on the benches next to the wheelchair seating area. 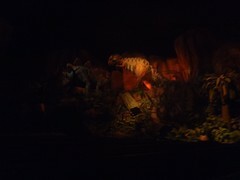 The ride is mostly a movie on the screens around the room, but you also leave the room and go into set ups. Mik found that the screens being all around made him feel like he was maybe missing something since he cannot really turn around and see stuff since his spinal fusion. However, he really did not, as the action was always only really in on the screens in easy view in front and slightly to side.